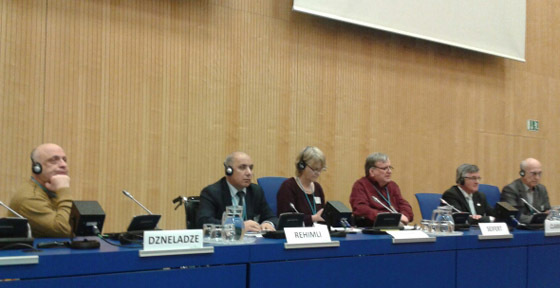 Final conference of the Zero Project was held at the United Nations headquarters in Vienna, Austria on Feb 19-22, 2019, dedicated to the presentation and evaluation of innovative activities, practices and projects for implementation of the UN Convention on the Rights of Persons with Disabilities. 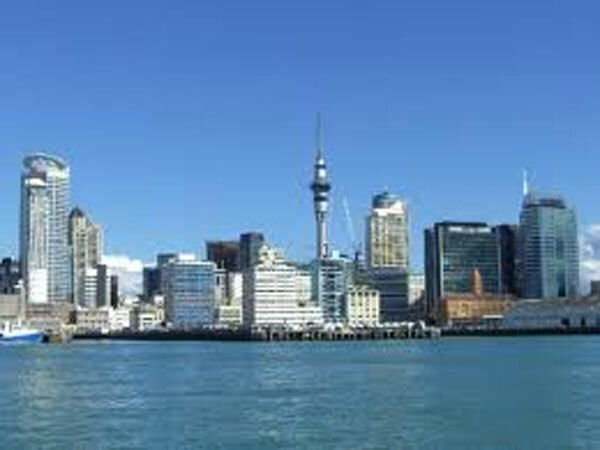 500 delegates and experts from 85 countries participated in the event. President of the Union of Disabled Persons Organizations of Azerbaijan, Mr. Davud Rahimli, served as an expert in this project and conference as well as made his presentation. 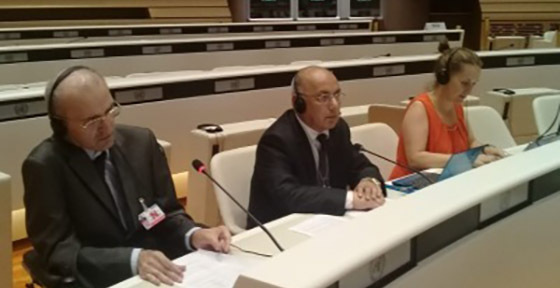 On August 27 - September 21, 2018, the Committee on the Rights of Persons with Disabilities of the United Nations High Commissioner for Human Rights held its 20th session on the Convention on the Rights of Persons with Disabilities in Geneva, Switzerland. An international conference on "Towards the Sustainable Development Goals: Promotion of sustainable development and decent work" is held in Baku jointly organized by the Ministry of Labour and Social Protection of Population of the Republic of Azerbaijan, Azerbaijan Trade Unions Confederation (ATUC), National Confederation of Entrepreneurs (Employers') Organizations of the Republic of Azerbaijan and the International Labour Organization (ILO). THANK YOU ALL EVERYONE THROUGH ALL PARTICIPANTS. This year’s event is a charity event dedicated to the ninety-fifth anniversary of national leader Heydar Aliyev and the hundredth anniversary of the establishment of the Azerbaijan Democratic Republic. BSB has always believed that fostering the idea of global awareness is important and that is why promoting the bazaar is central to our studies because it demonstrates a truly international flavour that our students can tap into and feel a part of something bigger than themselves. At present, the ministry cooperates with up to 60 civil society institutions specialized in the relevant fields Minister of labour and social protection of population of the Republic of Azerbaijan Salim Muslumov met with representatives of civil society institutions elected to the new composition of the Public Council under the Ministry. "Naz-Lifan" brand passenger cars were presented to the invalids of Garabakh war and 20 January by the Ministry of Labour and Social Protection of Population of the Republic of Azerbaijan. 117 of them were given to the use of Karabakh war invalids, and the remaining to the invalids of January 20. 6 246 rehabilitation means and prosthetic-orthopedic products have been given to persons with disabilities by the Prosthetic-Orthopedic Rehabilitation Centre of the Ministry of Labour and Social Protection of Population of the Republic of Azerbaijan, its branches in Ganja and Nakhchivan production area in January-March of this year. 14/3/2018 World disability movement lost its great leader Mr. Javed Abidi. Javed Abidi has delivered important services in the field of the elimination of disability discrimination and the formation of inclusive society globally. At the same time, he has been instrumental in combining forces for eliminating discrimination and ensuring equal participation all over the world, by leading a reputable global network DPI. 12/6/2017 Final conference of "The Establishment of Foundation for the Integration of Disabled People into HEIs of Azerbaijan" (ESFIDIP) Tempus Project was Held. » 14/3/2018- World disability movement lost its great leader Mr. Javed Abidi. Javed Abidi has delivered important services in the field of the elimination of disability discrimination and the formation of inclusive society globally. At the same time, he has been instrumental in combining forces for eliminating discrimination and ensuring equal participation all over the world, by leading a reputable global network DPI. » 12/6/2017- Final conference of "The Establishment of Foundation for the Integration of Disabled People into HEIs of Azerbaijan" (ESFIDIP) Tempus Project was Held.